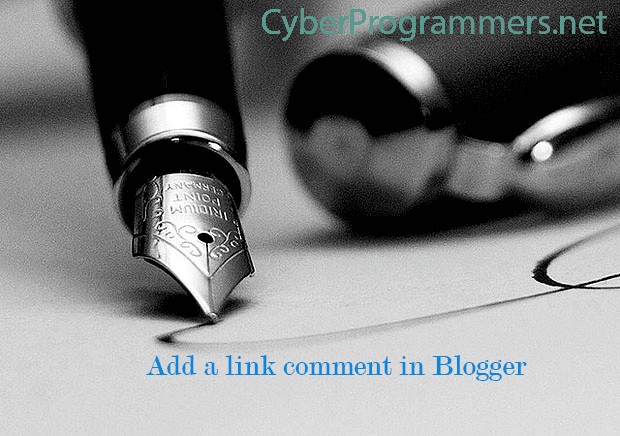 Blogs with the Blogger platform come with comment fields that do not contain the ability to add a link to the comment with simple steps. To add one you need to add an HTML tag. Go to Blogger blog and scroll down to the comment section. Add the HTML tag given below. And now, all you need is to change "www.cyberprogrammers.net" with another link and change "Cyber Programmers" to text you want to display.